Home Leagues Maui League Kauaʻi League Hawaiʻi Futsal Tournaments Hawaiʻi State Cup Hawaiʻi Futsal Championships ProgramsTopYa! 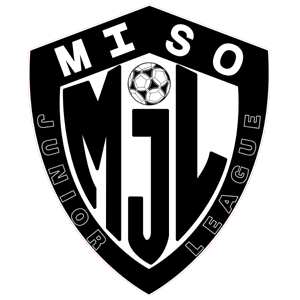 Hawai'i's Player Development Program (PDP) is the 13th player identification program sanctioned by US Club Soccer, through HSF and our partner, MISO Junior. PDP's operate under US Club Soccer's id2 Program umbrella—an Olympic Development Program (ODP) approved by the U.S. Olympic Committee and U.S. Soccer. PDP/id2 was established to provide an opportunity for the country's elite youth soccer players to be identified, developed, and scouted for inclusion in U.S. Soccer's National Team programs—at no cost to players. 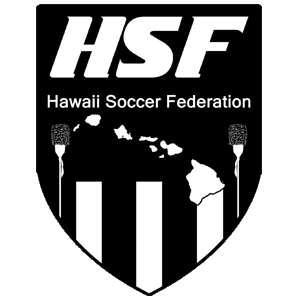 Invitations to attend Hawaiʻi PDP's are based on recommendations from top coaches and directors of coaching, combined with objective scouting of elite clubs who participate in HSF and MISO Junior; as well as through participation in the US Club Soccer Hawaiʻi State Cup. Targeted birth years are established every year in consultation with U.S. Soccer, according to the scouting priorities for the 14U National Teams. Hawaiʻi PDP Camps are held annually in the fall, where training sessions, internal competitions, and off-field educational components are conducted and overseen by id2 Directors, Gerry McKeown, Tricia Taliaferro and Tom Shields. There, players are assessed and identified for potential inclusion in an upcoming id2 Training Camp held in December. (Note: All ground transport, lodging, meals, and gear are provided at no cost to players). 1. Players should be initially scouted within the environment they are most comfortable–i.e, their club training and normal competition environments. 2. Clubs have the largest impact on player development, which makes club coaches and club competitions an integral part of the PDP/id2 Program. Recommendations for potential program inclusion may only be made by head coaches and directors of coaching. 3. Players are rated and evaluated for potential program inclusion based up on a combination of recommendations and information from the players’ regular trainers and coaches; and objective and independent scouting. 4. There is no cost for players to participate in the PDP/id2 Program. If invited to the next-level id2 Training Camp, all lodging, meals, and training gear are provided by US Club Soccer and Nike. By joining our mailing list you may receive news and updates from our partners MISO, MJL, HSF and Hawaii Futsal. © 2019 HAWAII SOCCER FEDERATION. All Rights Reserved.